Joan Lamm-Tennant believes hard work should pay off. But she also knows that for many hard-working people living in poverty, disaster can be just one drought season or medical emergency away. Joan Lamm-Tennant is a dual graduate and former professor at St. Mary’s. Her husband, William J. Tennant Jr. (J.D. ’76), is a graduate of the St. Mary’s School of Law. They have two daughters, Lauren and Kristen, whom Lamm-Tennant credits with keeping her anchored to what is important in life. For a small farmer tending just a few rows of corn in a rural area of Africa, the weather will dictate his ability to grow the crop and support his family that year. Lamm-Tennant’s goal isn’t to give a handout, but to give those who are already barely getting by a chance to overcome challenges. “If a drought occurs, the family is without food and, likely, the farmer is burdened to work in other capacities to pay back the loan needed to buy more seed,” she said. And that is where she is ready to help. Lamm-Tennant (B.B.A. ’74, M.B.A. ’77) had a successful 18-year academic career as a professor, earning tenure first at her alma mater, St. Mary’s University, and then at Villanova University. Though now a Senior Fellow at the Wharton Risk Management and Decisions Processes Center at the University of Pennsylvania, for Lamm-Tennant university teaching is just the start. A second career path led to a second passion in the growing industry of microinsurance. Microinsurance provides insurance designed for low-income individuals with little savings who are at risk of suffering losses due to unexpected events, such as natural disasters and ill health. In such cases, she said, many of these low-income individuals would “fall back to the bottom of the economic pyramid” were it not for these insurance plans with much lower premiums than traditional insurance. “Microinsurance can provide (money for) reseeding or loan forgiveness in the case of the drought,” she said. 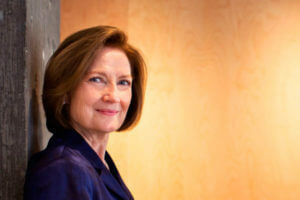 During a sabbatical from teaching finance and investments in the 1990s, Lamm-Tennant explored new ground by taking her academic research into industry and caught the attention of the CEO of General Reinsurance, who was interested in implementing the risk-based investment strategy central to her research. Reinsurance is a way for insurance companies to share risk by purchasing insurance policies from one another. In case of disaster, the practice spreads the risk among multiple insurance companies. “The opportunity to put published work to test was fascinating,” she said. After a brief return to academia, Lamm-Tennant was drawn back into the corporate world when General Reinsurance invited her to lead an advisory group and work with financial institutions around the world. Recognizing the need for small-premium insurance protection and risk protection, Lamm-Tennant stepped into the emerging market of microinsurance and held a variety of positions, including senior vice president of General Reinsurance Corp. and president of General Re Capital Consultants. In 2015, Lamm-Tennant became the CEO of Blue Marble Microinsurance in New York, a consortium of eight companies collaborating to innovate solutions that protect the underserved. Her passion for the field of risk management also drew in one of her daughters, Lauren, who now works as venture design leader for Blue Marble Microinsurance. Lamm-Tennant explains that financial inclusion alone will not solve the complex ecosystem of poverty, which also includes education and health care needs. But having access to credit, savings and protection can help overcome the gaps. Blue Marble Microinsurance is a “mission-driven business, and this is quite powerful in enabling eight distinct companies with distinct cultures to work collaboratively,” she said. This mission is also critical for families struggling to overcome poverty and unexpected hardships. Lamm-Tennant said microinsurance requires low-cost distribution channels, typically made possible by technology, but it also requires “focus, innovative thinking, and new products designed to meet the inhibitors of economic progression” — small but crucial steps toward a significant goal.